Congratulations! You completed the difficult task of moving. However, you might find that you have more empty boxes then you can handle. For many, moving has not ended until you can clear away the containers that have stored your most prized possessions. While most moving boxes end up finding a home in one’s garage, there are several things you can do with those empty containers in order to declutter and stay organized. There are many companies who buy and sell cardboard containers. Doing a Google search can help you find those companies that might buy them back. You can also try to sell any cardboard containers you have that are in good condition to others who might by relocating soon and may need them. If making a profit off of your cardboard containers is not something you are interested in doing, you can simply give them away. Be on the lookout for people in your neighborhood who might need the containers sometime soon. You can also take out a local classified ad and post your cardboard containers for free. 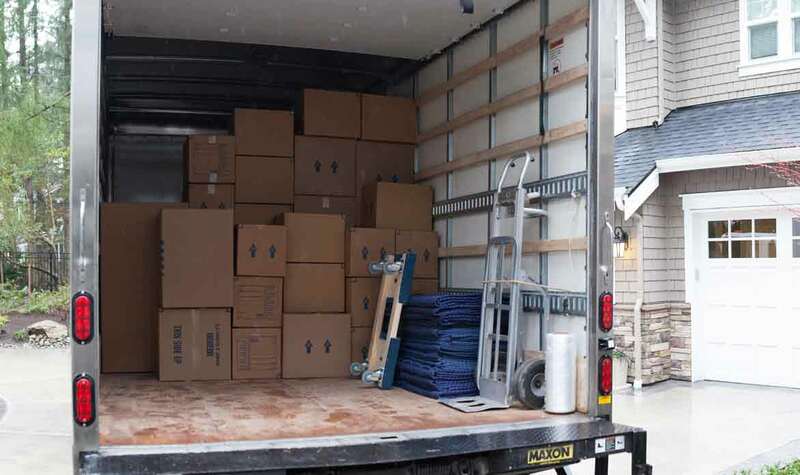 If you’ve recently moved into an apartment complex, you can speak with the rental office and let them know that you have cardboard containers available. The apartment manager will most likely aware of tenants who might be leaving soon and might need some moving boxes for relocation. Many local organizations need sturdy containers on a regular basis, too. Contact your local library or school to see if they are in need of any extra ones. Although it may take some time to find an organization that needs them, you can feel good about helping your local community by donating the cardboard containers for a great cause. If some of your cardboard containers were damaged during the relocation process, you can recycle them. Simply break them down and take them to a local recycling center or place them in your own recycling bin. However, check with your local recycling center to see if they have any stipulations about excepting material for recycling purposes. For example, some recycling centers may only accept a certain type or size of container. They might even require that you flatten the containers first or personally pick the boxes up if it exceeds a certain quantity. Cardboard is often perfect material for making a playhouse for kids, a bed for pets, or anything else your imagination can think of. There are many inexpensive DIY projects out there that require the use of cardboard. Older children might also want to use the cardboard which is a great way to get them to be creative and have fun. There might also be times when you might need a piece of cardboard for a household project or other task. Consider keeping a few, flattened cardboard containers in your garage for your own personal use. After all, you are bound to need a cardboard container for something in the future.